Before there were tiny houses, there was the Village Hut, a very small restaurant with a big reputation beyond Multnomah Village. 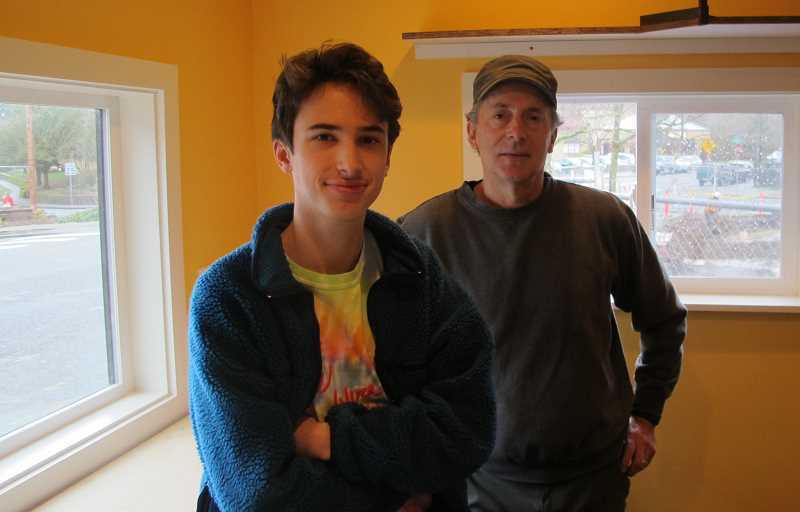 The Hut, which hugs a short stretch of Southwest Capitol Highway on the west side of the intersection with Canby Street, went through a temporary shutdown in February but expects to be back in business by presstime. "We will be open by March 1 or my wife will have my scalp," owner J C. Harris said. That's short term. The longer term plan for the Village Hut, he says, is a year-and-a-half plan. 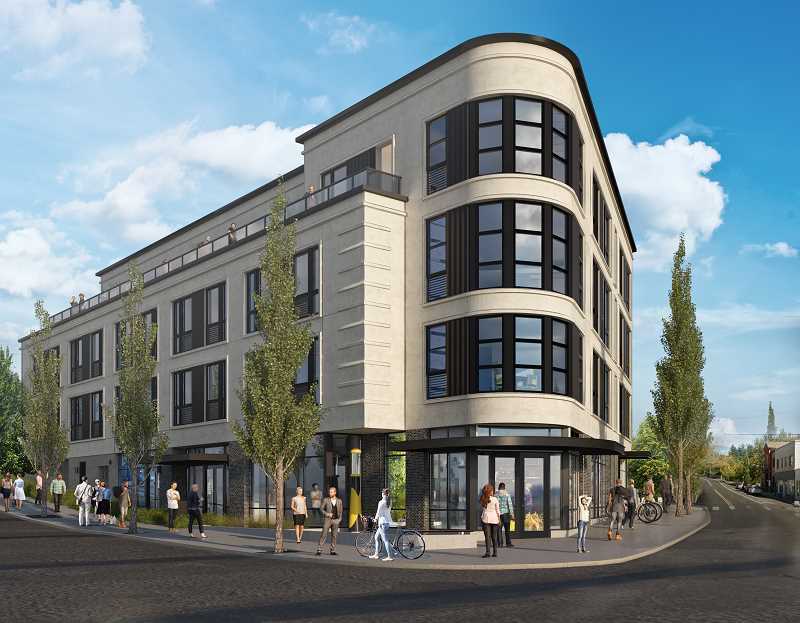 "Now that they have the project starting next door (Multnomah Station Apartments), coinciding with their year-and-a-half completion date, I want to gently refresh my place to take advantage of all the food and cuisines I've developed over 13 years. And I want to improve the flow and just the general operation of the building," he said, during a break overseeing construction work in his restaurant. Harris plans to set his son Alex up in the main restaurant building. The owner's son, a 2018 graduate of Wilson High School, is taking Business Management classes at PCC and is ready to get to work. "I want to work with my dad to build Village Hut into a place we can replicate or just be really proud of," he said. "Alex will develop the concept around historic bento bowls that we've done over the years," Harris explained. "My cook station and a fresh outdoor area in the back will be my domain. That's where I'll prepare the higher-end plates we're known for — halibut, seared ahi, top sirloin. We're also going to get a liquor license to go with the beer and wine permit. We'll serve signature cocktails. Maybe call it the Voodoo Lounge or the Tiki Room." Those bento bowls will be "quality, traditional bento, a healthy portion with wild salmon, pork, shrimp or prawns and our homemade sauces and vegetables. And the bowls will be affordable," Harris said. He openly shares the inspiration for his improvements. "Oh, Por Que No, no question," he said of the taqueria with locations on Northeast Mississippi Avenue and Southeast Hawthorne Boulevard. "I just love their feel, their concept, how they treat their employees," he said. "I might have their margarita on the new menu, but I won't be doing Mexican food." Harris expects the longer-term improvements to be completed by the time the new apartment complex next door opens. "This (construction) is kind of a necessary evolution of the place. I bought the property one and a half years ago. I'm not going anywhere. It's nice to have a remnant of yesteryear in Multnomah Village. And if this little piece saves the block from being nothing but condos and apartments, so be it," he said of his triangle of land, which includes a main building of 240 square feet and an "annex" for food preparation and dining. "I've been in a kind of 14-year soft opening. I think I can carry that on for another year and a half. Maybe I'll have a real grand opening in a year-and-a-half." As for relations with his new neighbors, developers of the under-construction, 39-unit Multnomah Station Apartments, Harris said, "It's going good. One of the principals with the developer has mentioned more than once that when they were attending neighborhood meetings, one of the biggest considerations that people asked of them is to make sure they didn't hamper or damage me in my business." Harris admits, "I'm kind of old school. I kind of like how Portland was. This is the last area in Portland to be noticed and we're no different from any other part of town. I'm looking forward to having a nice building next to me and hopefully it brings life to this end of the Village." He said he's lost some trees on and near his property but, "We'll probably do something creative with bamboo to keep the island theme." His restaurant may be small but it's got a large base of loyal customers, one of whom came through for Harris financially when he had just two weeks to raise the money to buy the building. The building that houses the Village Hut was built in 1950. It is believed to have been professional offices at first, then a hair salon and eventually, a business called Lil Bento. That was when Harris spotted the property while driving along Capitol Highway back in about 2004. He was working at the time for an electronics firm and was ready for a change. Fifteen years later, he's ready for more change.